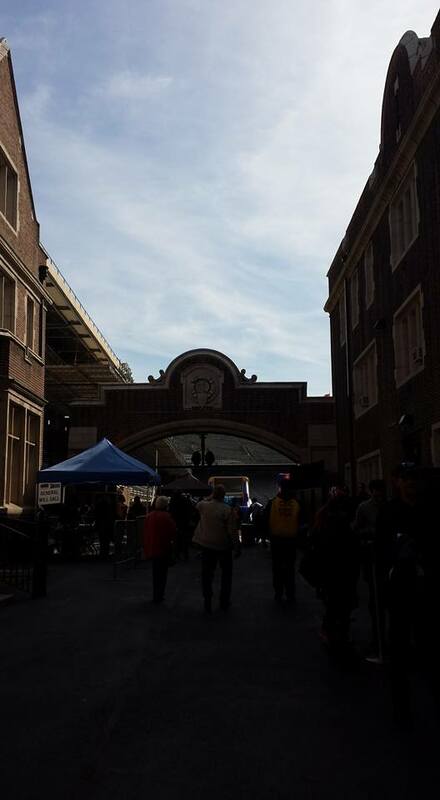 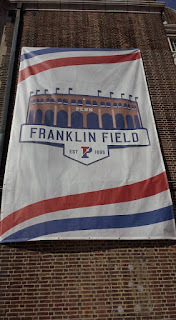 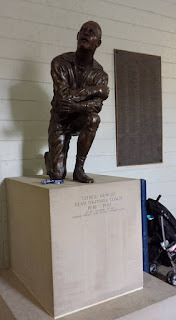 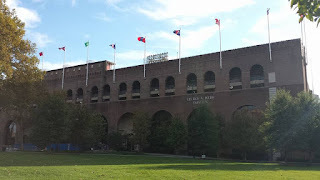 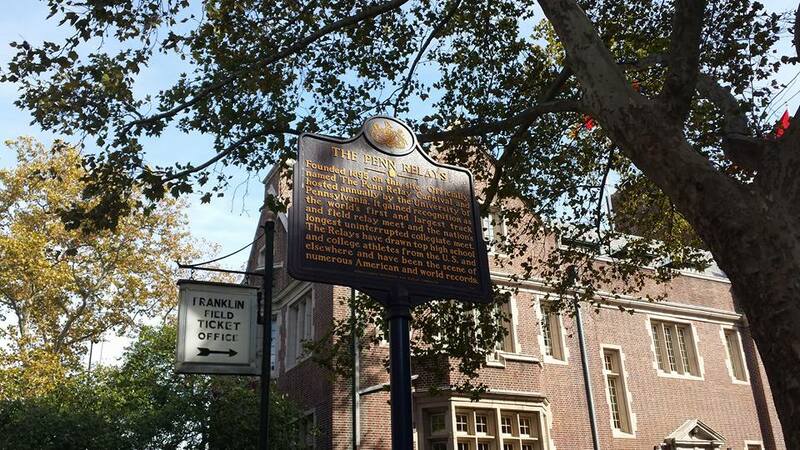 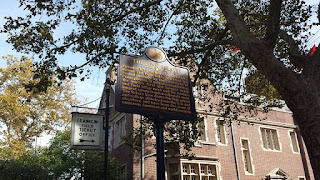 The Matt Ward History Experience traveled to Franklin Field in Philadelphia, Pennsylvania for the fifth stop on the 2016 College Football History Tour. 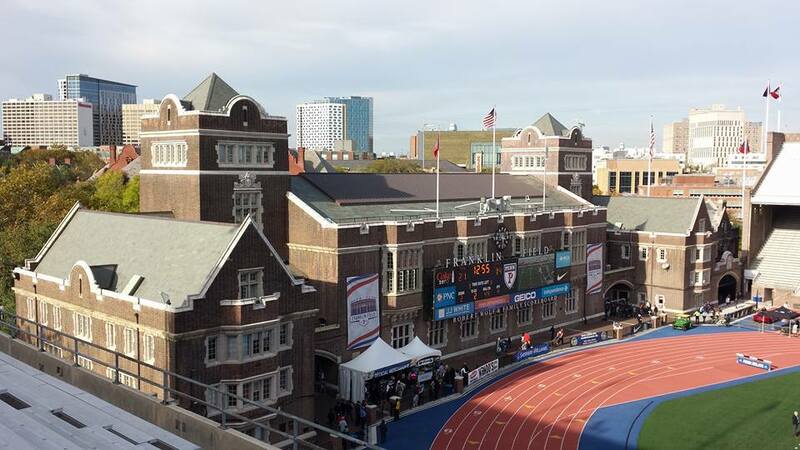 The University of Pennsylvania Quakers hosted the Brown University Bears (Providence, Rhode Island) on October 29th. Founded in 1876, the University of Pennsylvania Quakers football team bills itself as "college football's most historic program." 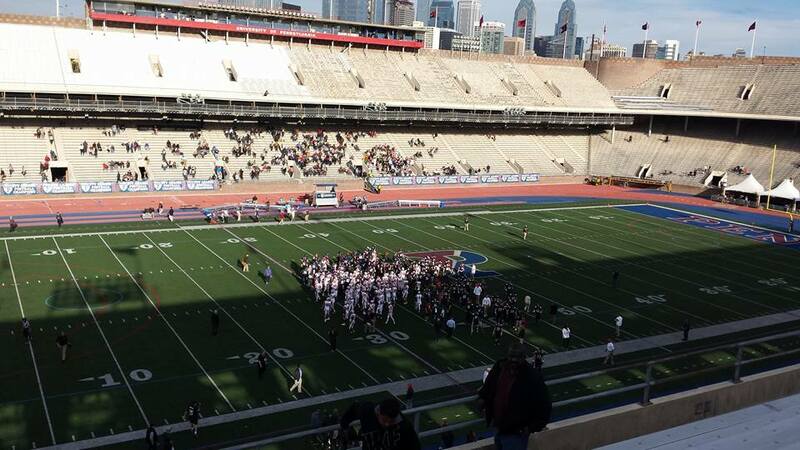 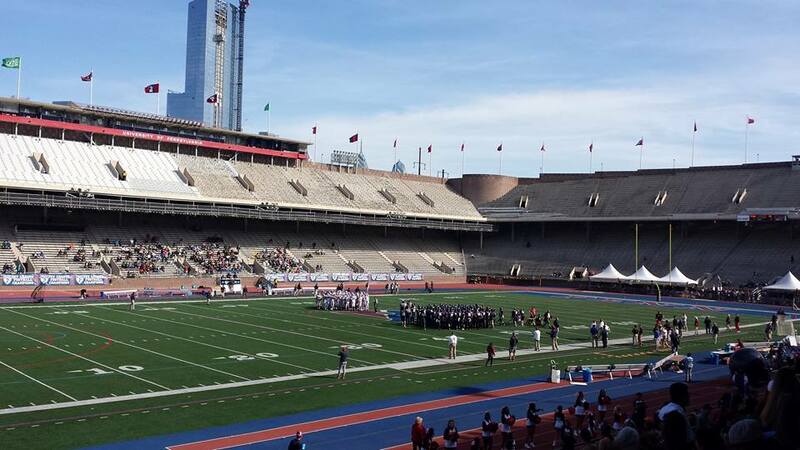 Over their long history, Penn has played in over 1,300 football games, more than any school in college football. 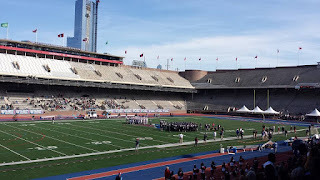 Penn plays its home games at Franklin Field, the oldest stadium in football. 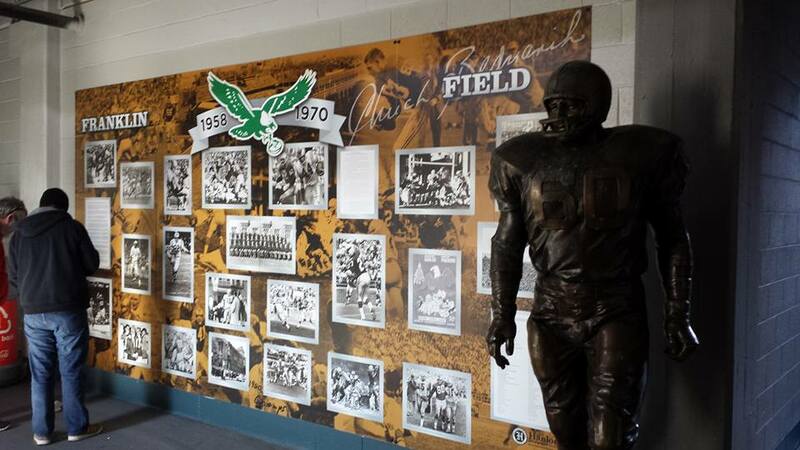 The stadium was built in 1895, and once served as the home of the NFL's Philadelphia Eagles from 1958-1970. 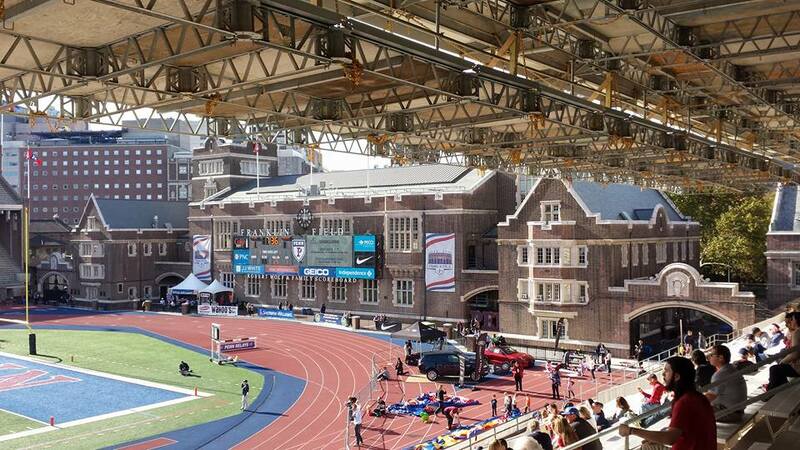 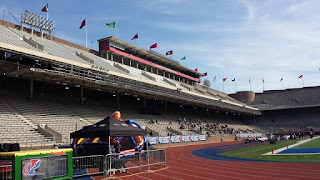 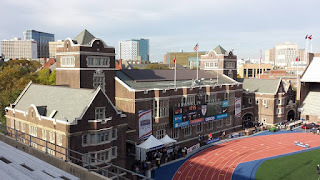 Franklin Field has also been the home of the Penn Relays, the oldest and largest track and field competition, since 1895. 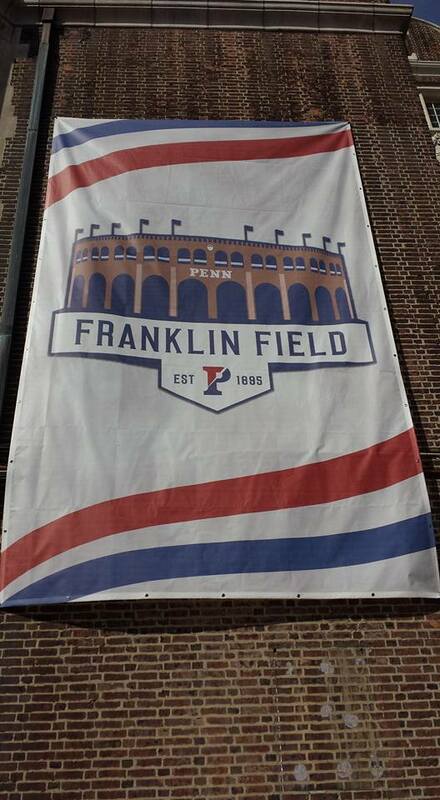 Penn football has seven national championships (1894, 1895, 1897, 1904, 1907, 1908, 1924), and a 1917 Rose Bowl Game Championship. 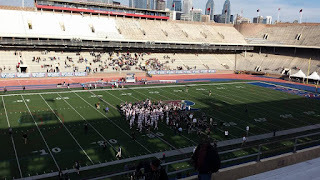 The Quakers defeated Oregon 14-0 on New Year's Day to capture this title. From 1938 to 1953, George Munger served as head coach of Penn football. 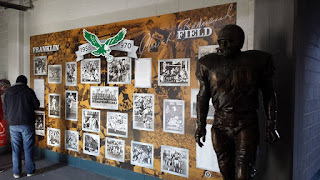 Along with coaching some of the best players in the program's history, Munger compiled an outstanding record of 82-42-10. The Quakers competed as an Independent until the 1956 season when they joined the Ivy League, a conference that they continue to compete in today. 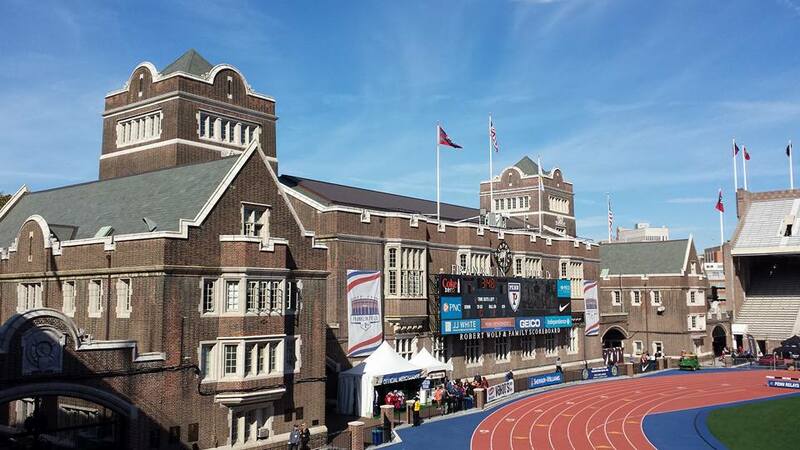 Penn captured its first Ivy League Championship in 1959. Penn has captured a total of 17 Ivy League Championships, with the most recent title coming in 2015 under head coach Ray Priore. 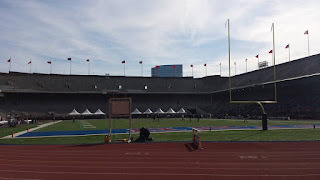 Penn football has had a number of notable players over the years, including 63 First Team All-Americans. 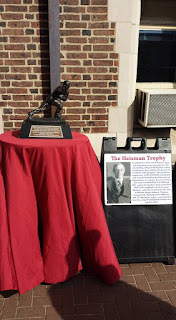 John Heisman, the namesake for the annual trophy given to the best player in college football, graduated from Penn in 1892. Heisman played for the Quakers from 1890 to 1891, and coached the team from 1920 to 1922. 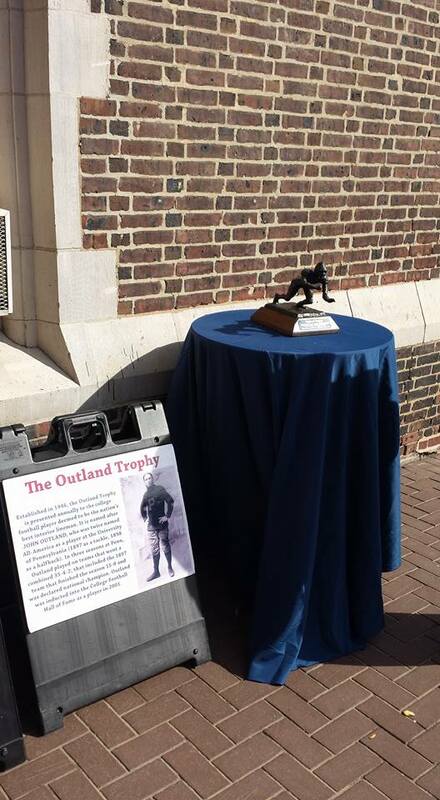 The Maxwell Award is given out to the collegiate player of the year. 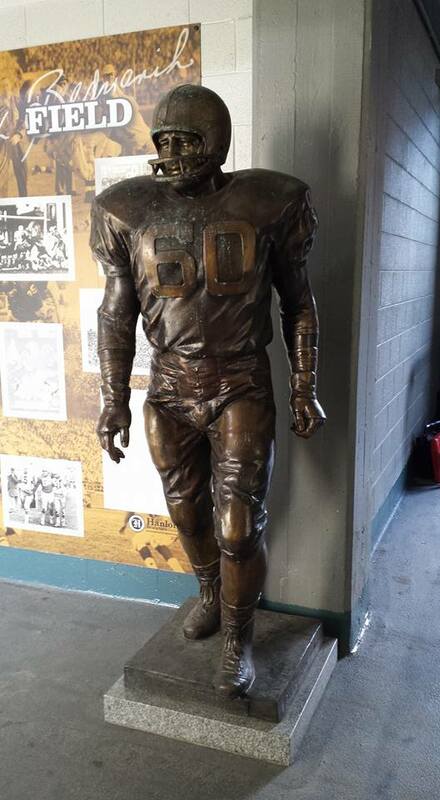 As of 2016, three Penn players have received this honor including Bob Odell (1943), Chuck Bednarik (1948), and Reds Bagnell (1950). 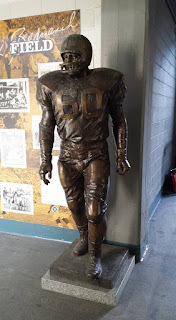 Penn also has its share of College Football Hall of Fame and Pro Football Hall of Fame members, including Chuck Bednarik (Class of 1949) who was inducted in both halls of fame.